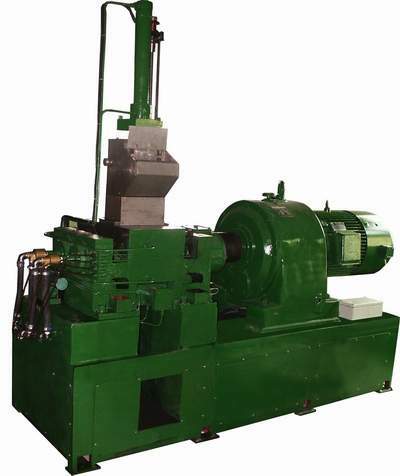 Rimpex Rubber supplies intellectualized rubber kneader machinery for rubber-carbon black masterbatch testing. 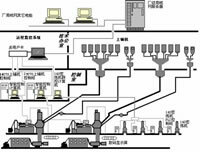 This Rubber Kneader Intelligent Control System (RKICS) is in the leading standard of computer control system with 9 patents. RKICS is guided by Rubber Mixer Rheology Theory which is originated by the support of National Natural Science Fund. There is no similar production interiorly and overseas. The application of this production will keep the mixing technique in optimized state. 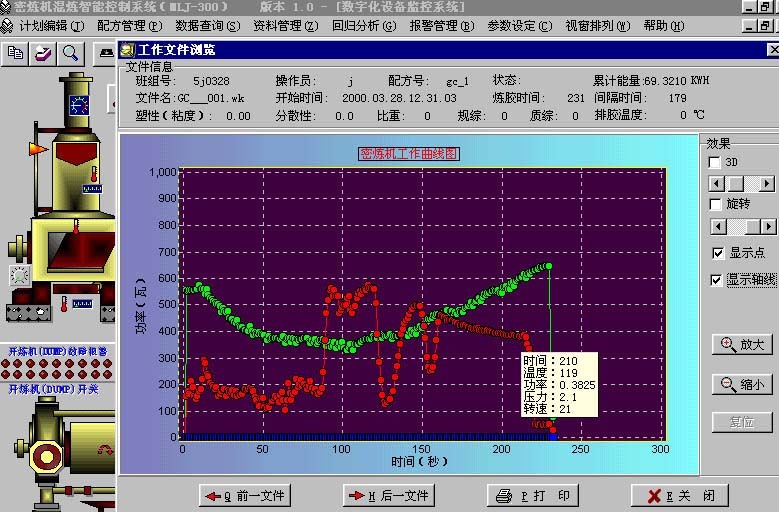 RKICS can predict the mixed rubber’s MN viscidity and dispersion, and control the mixing process on the base of prediction, so it can assure the quantity of the mixed rubber. In the appraisal meeting organized by former National Petroleum and Chemistry Bureau in Dec., 1999, experts appraised this technique as international leading standard unanimously. Leading technique will show in the actual application, which can improve production efficiency 5-20% in common, even 22.7% individually, reduce the viscidity from ±7 or ±8 to ±4 or ±3 MN, improve the dispersion of second half mixed rubber 1 or 2 class. The cost saving will come to about RMB2, 000, 000 one year for a 270 liter rubber mixer. 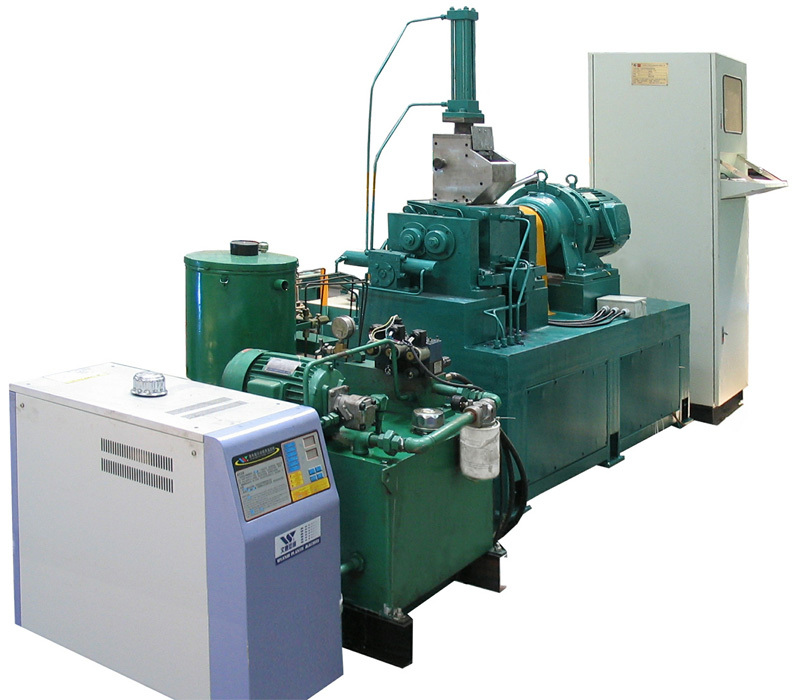 At present, about 30 experimental sample machines are produced for domestic companies, and are accepted by the companies. Because of gigantic market internal and external, this technique still need expand to bring into play the benefit as early as possible. At the same time, this technique will be expanded to new-build rubber mixer. Combined with the mechanism design of rubber mixer’s rotor, there will no dead angle when rubber flows and distorts in the mixer, and the force on the rubber will be equal, then we will have more detect and control method, and mix the rubber in the light of rubber rheology theory. So, besides the technique alteration to the current rubber mixer production line, this technique should be expanded to the design and making of new-build rubber mixer to improve it to the intelligent rubber mixer. Research on Rubber Mixer Intelligent Control Technique is almost blank internal and external, mainly because of no advisable theory guidance. Guided by the Rubber Mixer Mixing Rheology Theory brought forward ourself , using the modern computer intelligent control technique, we get great advancement theoretically and practically. Recently, on the foundation of former work, we successfully expanded the Intelligent Control Technique to the world biggest tyre company―Michelin Tyre Co., Ltd. on Intelligent Rubber Mixer, Intelligent Rubber Mixer Task Group was founded, and accomplished the design of mechanism and electric and the machining of the mechanism on 0.1 litre, 1 litre, 5 litre and 50 litre Intelligent Rubber Mixer experimental sample machine. 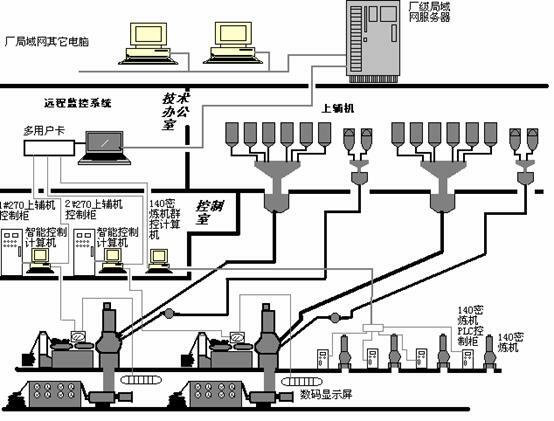 On Large-scale Intelligent Rubber Mixer, BESTRY has signed cooperate contract of Large-scale Intelligent Rubber Mixer Cooperate Development Contract with the only rubber mechanism stock market’s company to produce jointly F270 and F370 Intelligent Rubber Mixer. F370 Intelligent Rubber Mixer has been put into Load Meridian Tyre, Meridian Engineering Tyre Important Technique Equipment of National Tenth Five Plan. Advanced Rubber Kneader Intelligent Control System has obvious technique predominance and market potential, and the Industrialization of this technique will bring giant social benefit and economical benefit for the nation.